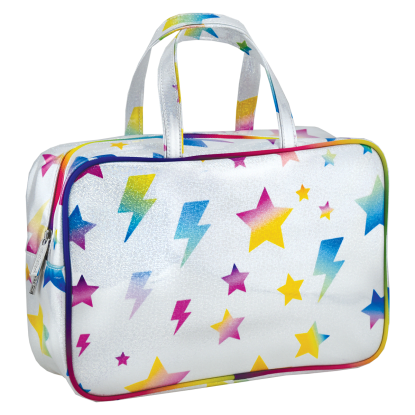 Stike a pose with our super fun stars and lightning backpack. 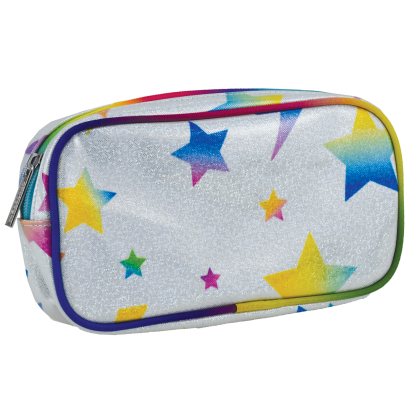 Rainbow-colored stars and lightning bolts are accented with a clear glittery overlay that will make you squeal with excitement. With lots of pockets to stay organized and comfy, padded shoulder straps this book bag is equal parts fun and function.